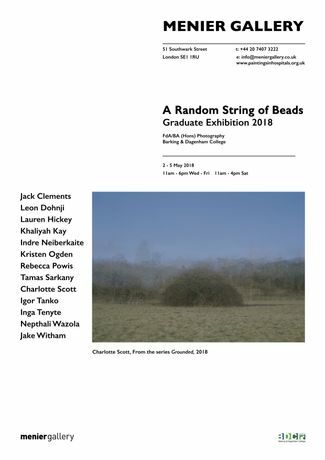 The staff and students of the photography programme at Barking & Dagenham College request the pleasure of your company at the Private View of A Random String of Beads: Graduate Exhibition 2018. Welcome drink: Champagne, up to 250 persons. 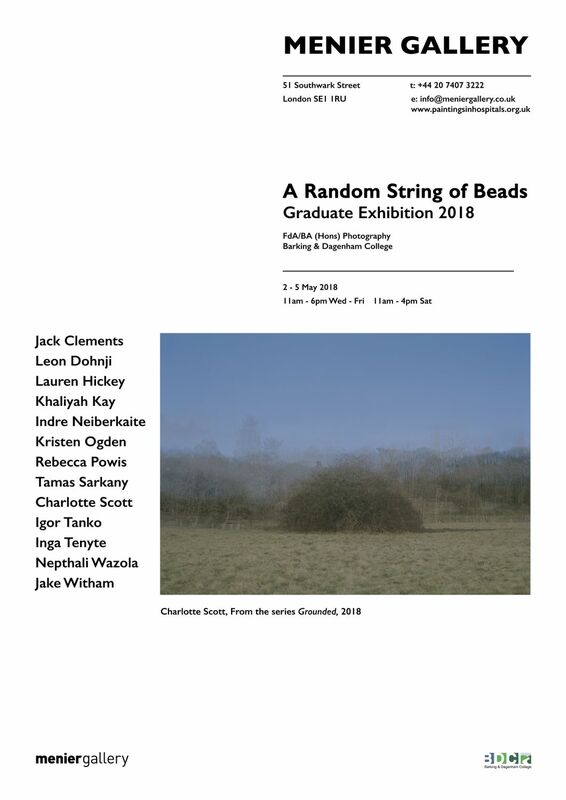 Selective 13 students work across fashion, documentary, portraiture and landscape photography genres in national and global projects.